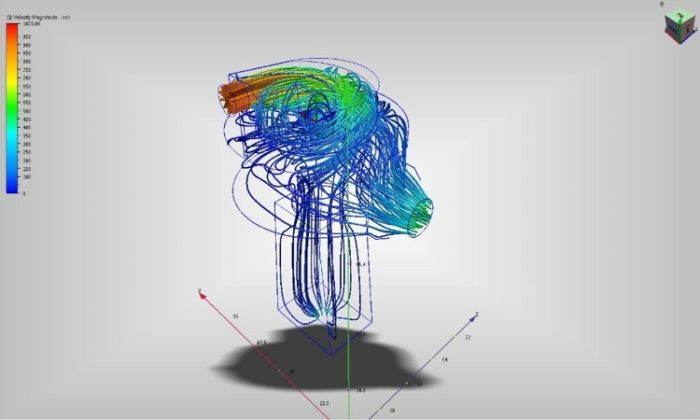 Northern Lights Solutions Inc performed an analysis of how air moves inside of a material handling system using Computational Fluid Analysis (CFD). CFD is a simulation tool that gives us the ability to simulate many different design options easily in a short amount of time. For this design project, we were able to virtually test several different inlet and outlet options to determine the optimum location of each to maximize system efficiency.